Extending its vast range of turning solutions, Industrial Tooling Corporation (ITC) has now introduced the expanded line of BIG KAISER Capto tool holders. 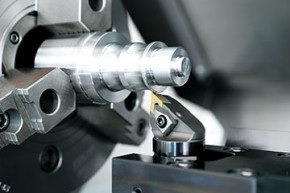 As a global leader in premium high-precision tooling systems and solutions for the metalworking industries, BIG KAISER is expanding its range of BIG Capto tool holders with the addition of a new size, C4, which is becoming increasingly popular as a quick-change system for turret tooling on lathes. In accordance with ISO: 26623-1, the polygon shape of the taper on this tool holder provides for highly repeatable accuracy and torque transmission. This system complements BIG KAISER’s MEGA chuck rotating tooling program and improves performance, repeatability, tool life and precision levels.